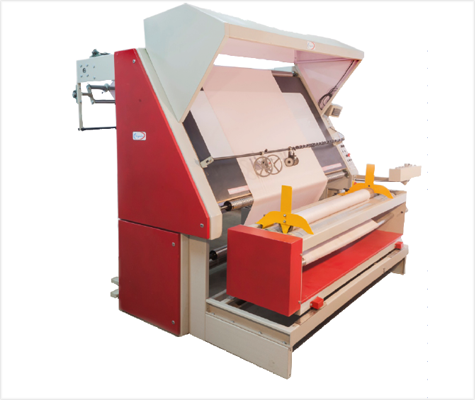 One of the most popular multi driven Check Master - I is best suitable for small warehouse and medium scale textile mills at greige, intermediate and stage of textile production Automatic Fabric Inspection Machine rolling machine manufacturer supplier and exporter in Mumbai India and all over the world. Corporate Office : GAYATRITEX ENGINEERS PVT. LTD. Plot No. A - 202, Road No. 29, Wagle Industrial Estate, Thane - 400 604, Maharashtra, India. Factory Address : GAYATRITEX ENGINEERS PVT. LTD.
Bldg. No. 124-B,Unit No. 4, Indian Corporation, Mankoli Naka, Dapoda Village, Bhiwandi - 421305, Maharashtra, India.